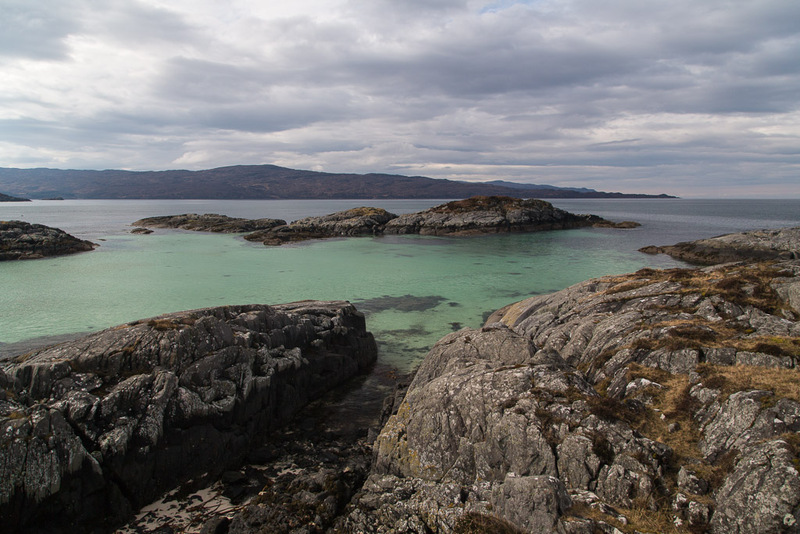 ...that runs deep into the grey rocks of Moidart. 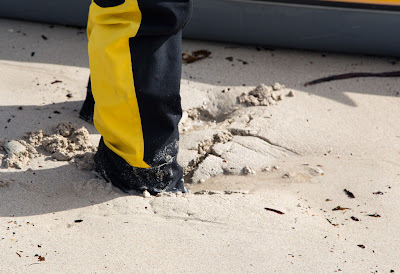 ...and have claimed very many shoes over the years. 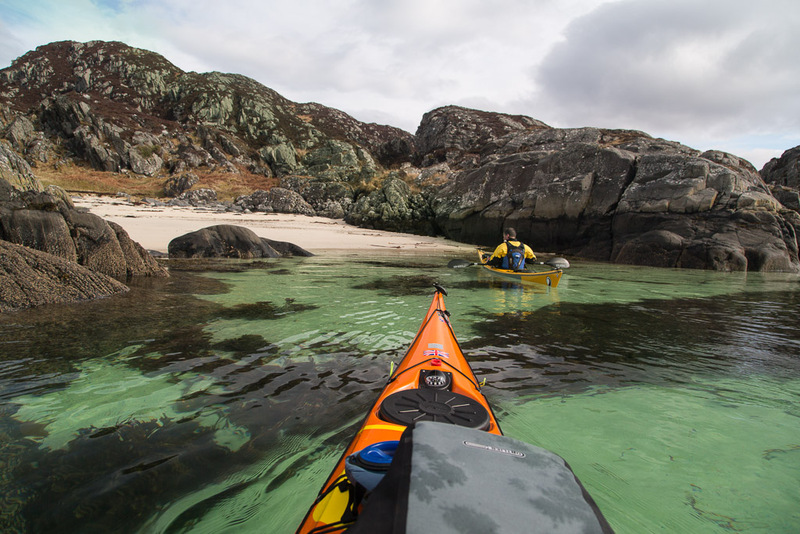 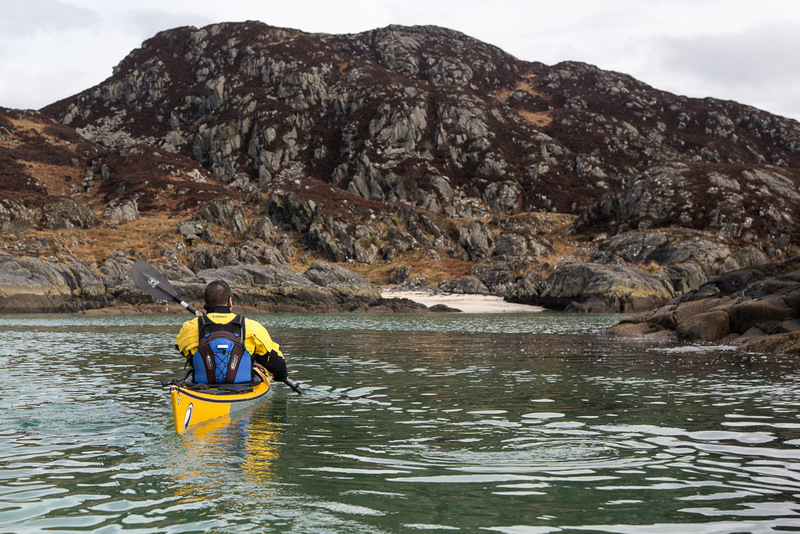 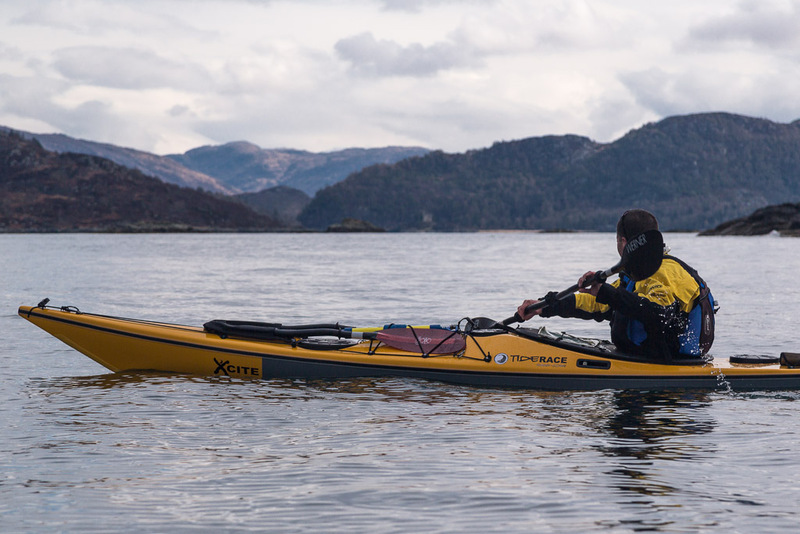 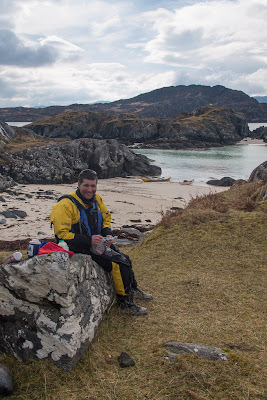 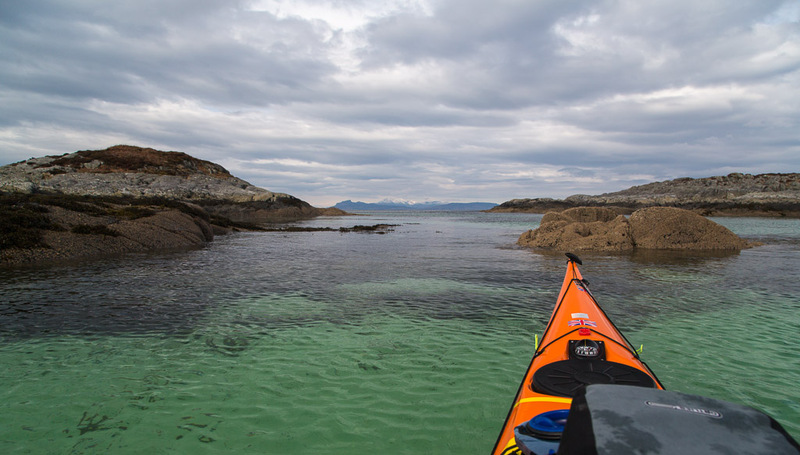 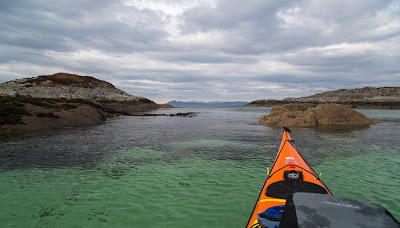 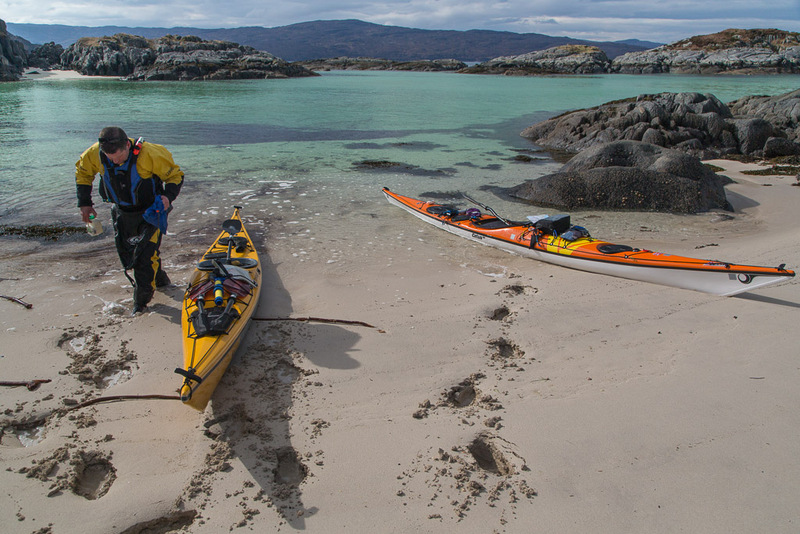 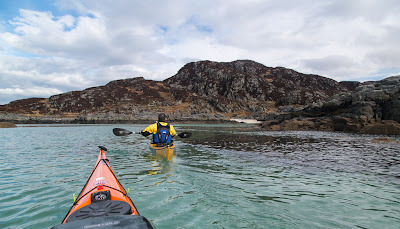 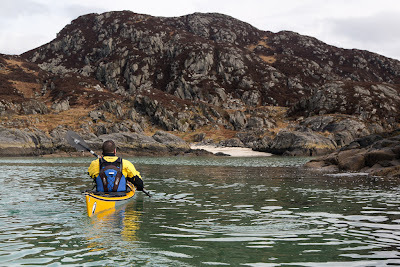 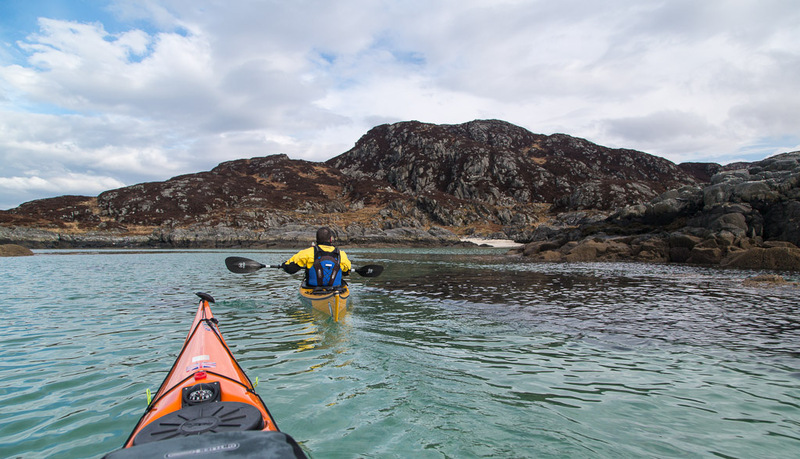 ...of the Ardnamurchan peninsula along which we had recently paddled. We enjoyed a first luncheon washed down by a dram of The Singleton. 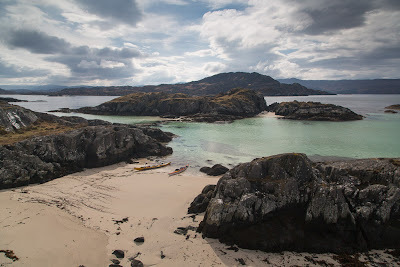 We found a cork from a bottle of Bollinger, which suggested that suggested that silver slippers and not just Lomo boots may have been lost in the soft sands of Shoe Bay.